It's easy to miss legendary fish in Red Dead Redemption 2, but this guide will reveal the location of every single elite fish. Legendary fish can be found in secluded spots in Red Dead Redemption 2, and they're very easy to miss. 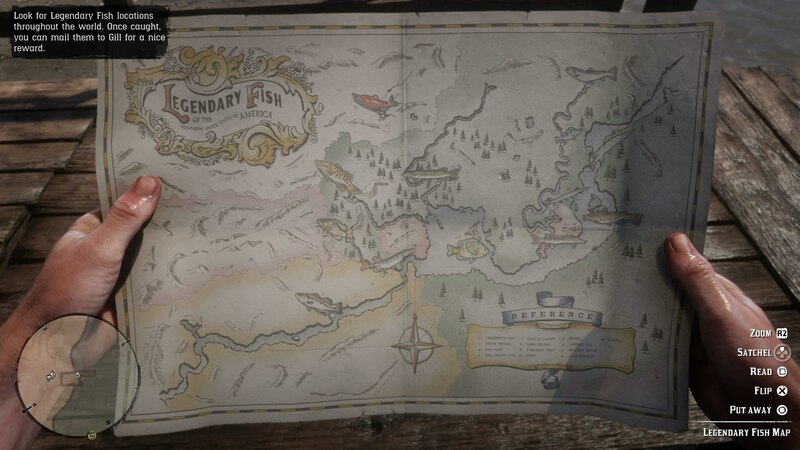 In our Red Dead Redemption 2 legendary fish guide, we'll be detailing everything there is to know about the unique types of fish in the wilds of the vast game, as well as providing you with a list of all the legendary fish locations in Red Dead Redemption 2, so you can easily track them all down. But if you instead need any additional information at all on Rockstar’s wild west prequel, you’ll want to head over to our full Red Dead Redemption 2 guides hub. It’s on this main page that you can find a complete beginner’s to the game, as well as all the tips and tricks you need to know. 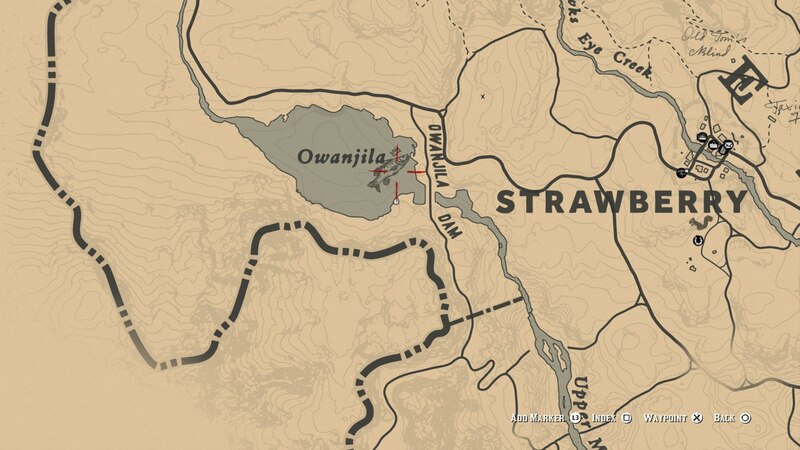 When you start playing Red Dead Redemption 2 you won't be able to fish straight away. In fact, you'll have to play through Chapter 1, then take the "Pouring Forth Oil" quest in Chapter 2. This questline will eventually lead you to talking to Abigail, then taking the kid out fishing. From this point on you'll be able to fish in Red Dead Redemption 2. 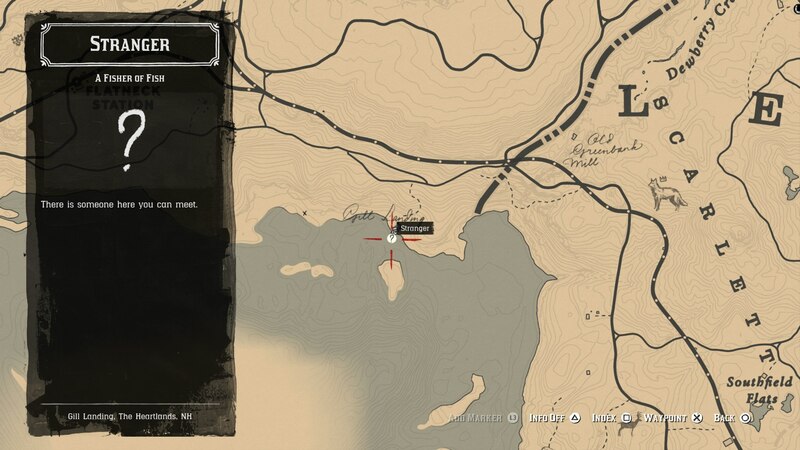 To kick off the entire legendary fish quest line in Red Dead Redemption 2, you'll want to head to the shore of Flat Iron Lake, in West Elizabeth, where you can meet a person named Gill, in Gill's Landing. 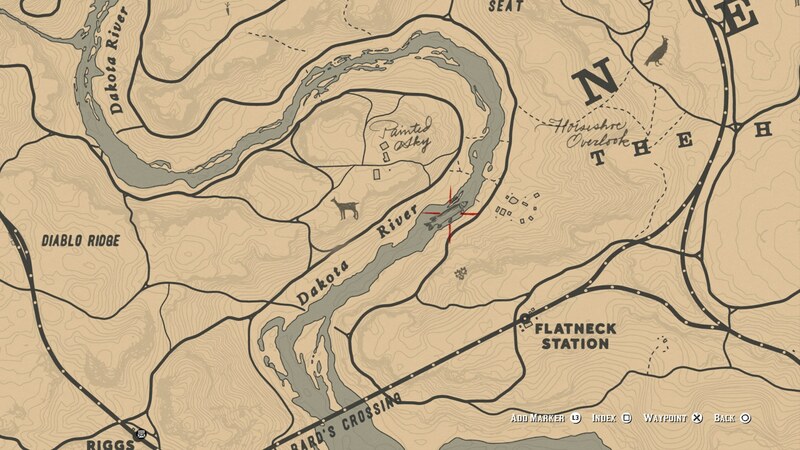 You can find Gill at the location seen just below, and you can't go about catching legendary fish until you've visited Gill. Once you've met Gill and undertaken his quest line, he'll give you the map to the legendary fish, pictured just below. This only leads you to the rough locations of all the legendary fish however, so we'll be breaking down the individual locations further down. We've also got info on the legendary lures you'll need to catch these legendary fish in Red Dead Redemption 2. 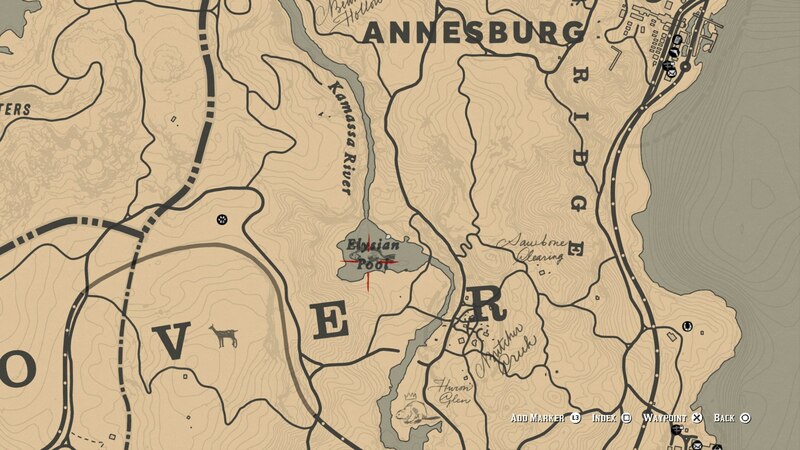 There are three types of Lure in RDR2: River Lure, Swamp Lure, and Lake Lure. Each of these costs $20 and can be bought from fishing shops in towns. Just below, we’ve rounded up the locations in which we’ve discovered legendary fish so far in Red Dead Redemption 2. 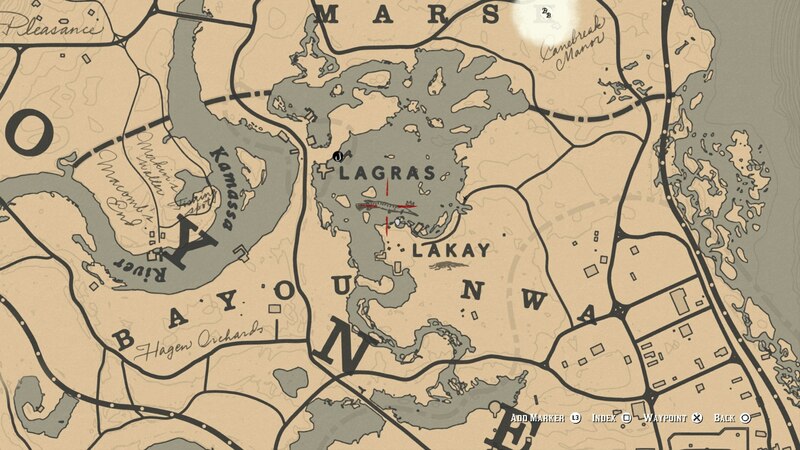 Before you head to any of these RDR2 legendary fish locations, you’ll want to make sure you’ve got a fair amount of bait on you, that you can attach to your fishing line to maximize your chances of catching a unique fish. 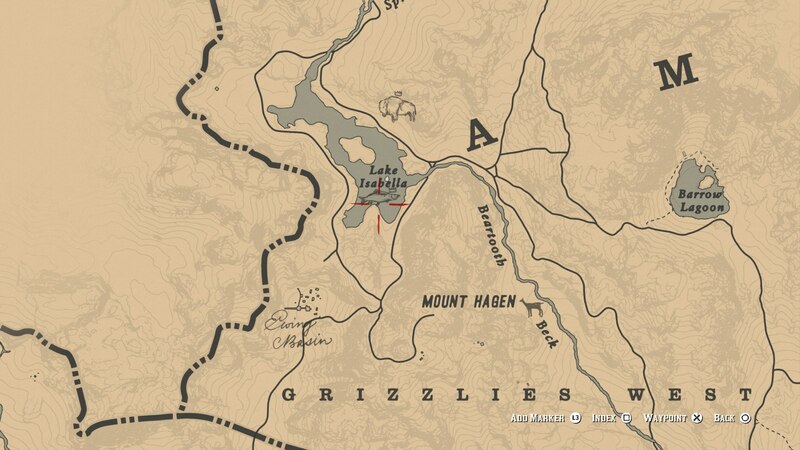 You can find the legendary bluegill at the position just below, on the shores of Flat Iron Lake. Simply head west from Rhodes, and you'll find it along the shore. This legendary fish can be a little tricky to reach. 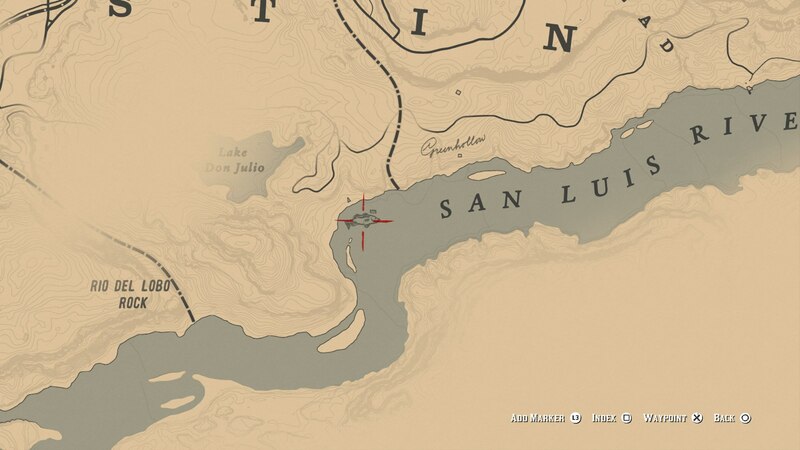 Out to the northeast of Saint Denis, there's an island called Sisika Penitentiary, where you can find and catch the legendary bullhead catfish. You can see the location of the legendary chain pickerel just below. It can be found in the river north and slightly west from Flatneck Station. You can check out the location of the legendary large sturgeon just below. 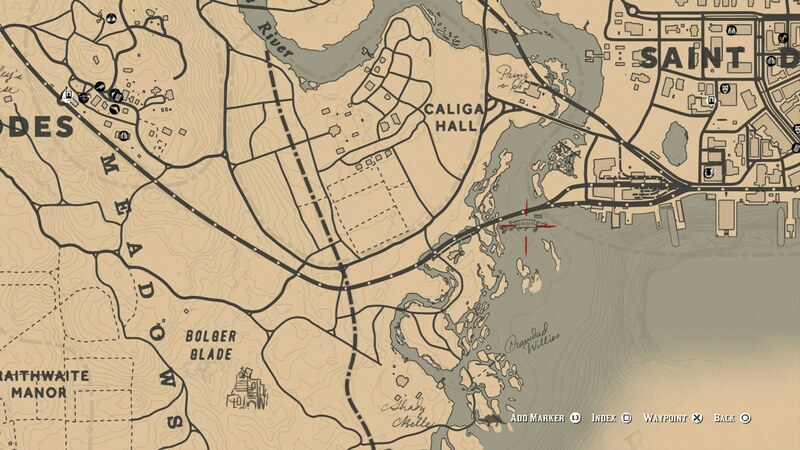 This is in the immediate vicinity of Saint Denis, and you’re best bet to actually catch the legendary fish will be to stand on the shore to the west, just south of the train tracks, and cast your line as far as you possibly can. South of Bluewater Marsh and in the northern Bayou area, you can find the legendary longnose gar. It's swimming around in the area immediately below Lagras. This particularly large fish is right around the Van Horn Trading Post. 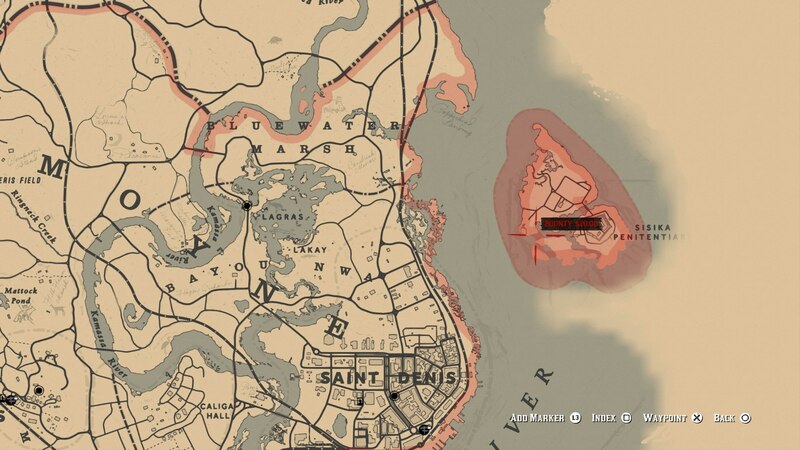 Immediately on the coast and a little south of the small town, you can find the fish location. 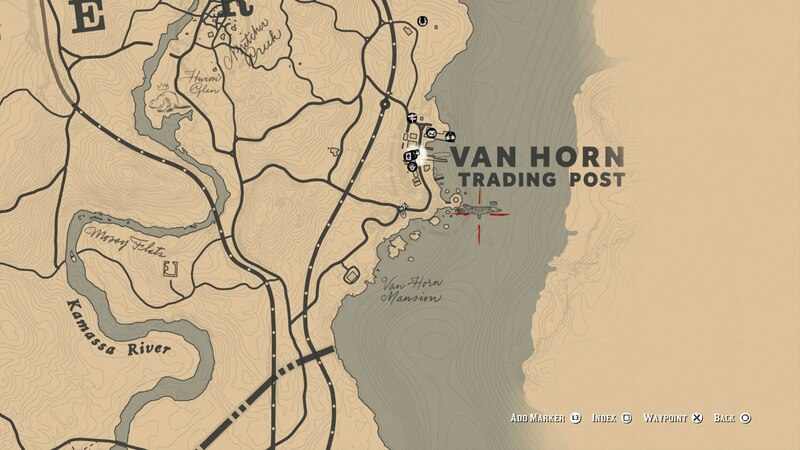 Next, you'll want to head northwest from Van Horn Trading Post. There's a small lake called Elysian Pool, in which you can find the legendary perch. In the lake called Owanjila, you can find the legendary smallmouth bass. This lake is located high up in the mountains of West Elizabeth, so make sure to come wrapped up warm. The legendary largemouth bass can be found in the San Luis River. This river is located outside of Armadillo, southeast of Lake Don Julio. In Lake Isabelle (which is where you can also find the White Arabian horse), the legendary sockeye salmon is swimming around. 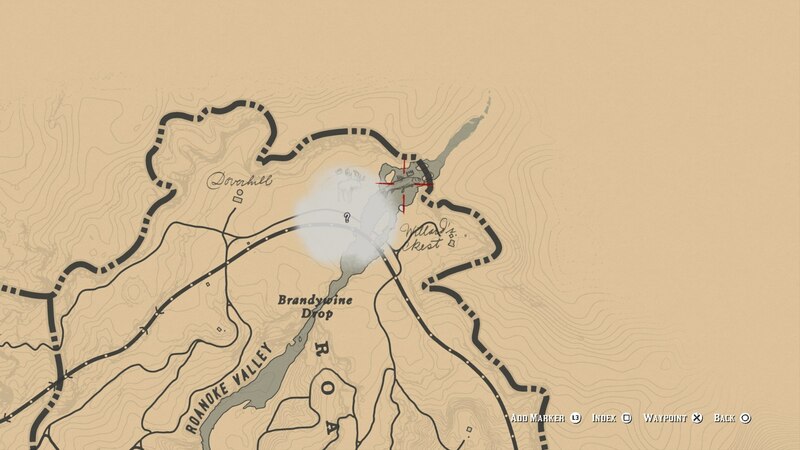 This lake is in the middle of nowhere, and your easiest route here is to head northwest from Valentine. 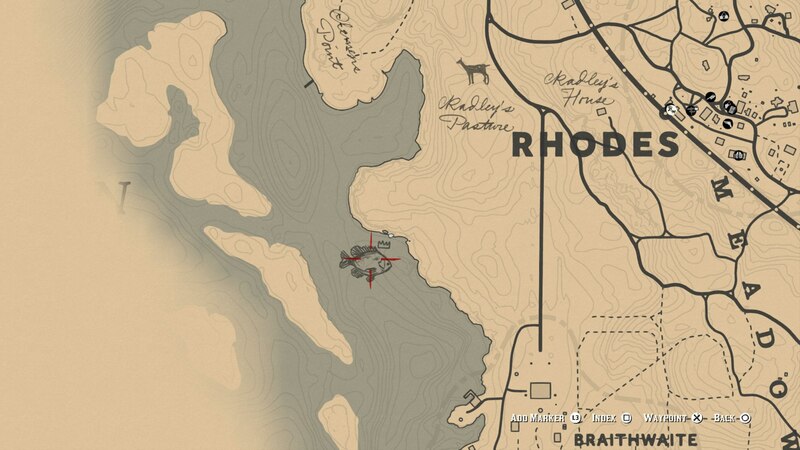 This legendary fish is found in the very northeastern corner of the entire Red Dead Redemption 2 map. 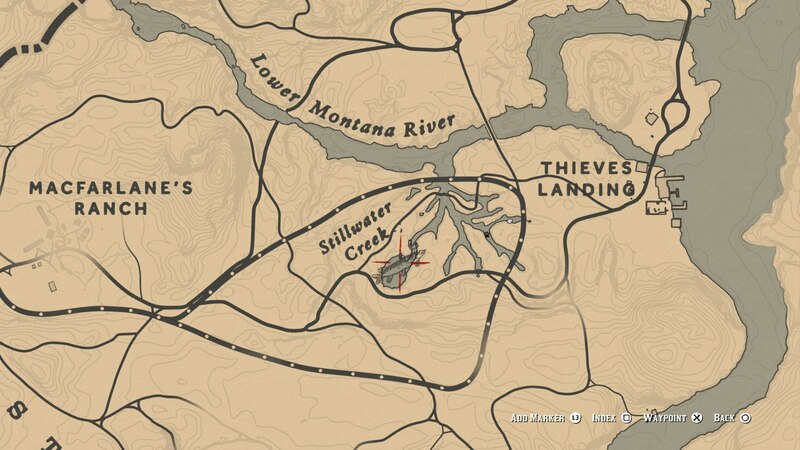 Head directly north from Annesburg to find it. The Redfin Pickerel can be found in Stillwater Creek, which is south-west from Thieves Landing, and east (slightly south-east) of MacFarlane's Ranch. The legendary rock bass in Red Dead Redemption 2 can be found in the Aurora Basin. 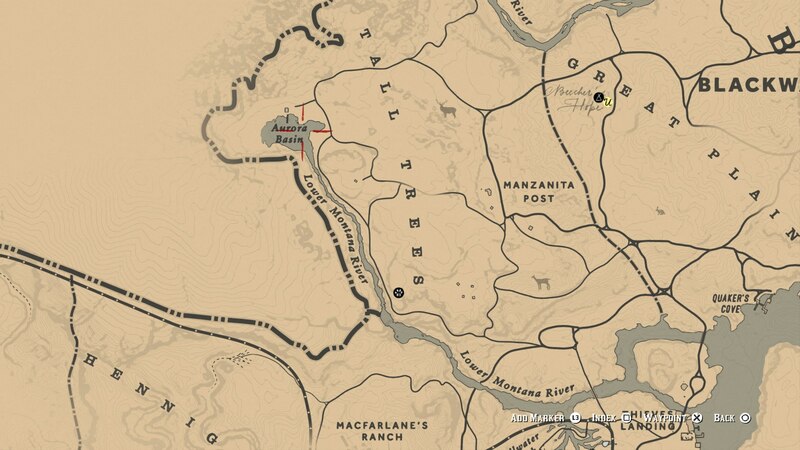 This location is a bit of a trek west of Blackwater, beyond Manzanita Post. Once you've caught all 13 legendary fish in Red Dead Redemption 2 and mailed them to Gill, you'll be able to take one one more quest to catch the final legendary fish. To do this you'll also have to have made it to the game's epilogue. Catch this final fish and you'll earn a special reward. Now that we’re done with this Red Dead Redemption 2 Legendary Fish guide, you can check out our additional pages on the game. Head over to our legendary animal locations guide for more, or our Red Dead Redemption 2 map guide for an overview of the wild west.